More than one week after devastating floods in Honiara, Solomon Islands, over 9,000 people are still sheltering at evacuation centres. While those who are able go out during the day to work and try to repair or rebuild, mothers and children stay there day and night. One of the evacuation centres is a big room at the Holy Cross Cathedral. 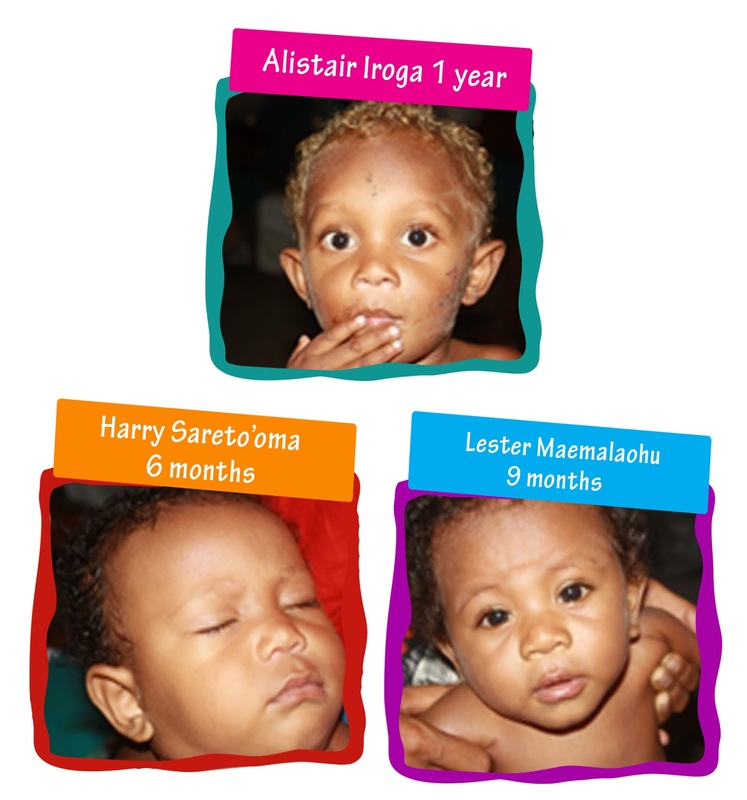 Three babies - Alistair Iroga, Lester Maemalaohu and Harry Sareto’oma, all survived the flash floods on 3-5 April because their parents put them in plastic basins and pushed them across the flood waters to safety. The flood destroyed the homes and possessions of the babies’ families. John luckily made it to the river side together with the children floating in the basin, and was grateful that men and women ran to assist him get the children up to higher ground. More than 30 children under the age of five continue to live at the Holy Cross Cathedral Hall and it they will not be leaving soon as there are no homes for them to go back to. Janet Nickson is another baby there. Her family was living right next to Matanikau River and their home is completely gone. Janet and her family were lucky that when the rains became heavy, her father was able to arrange for them to go to an uncle’s house which is situated higher up and away from the River. The day the flash flood swept through the village at the bottom of Koa Hill, Janet’s father was the only one at their house. He had to struggle through rushing water, debris and pouring rain to reach a sheltered spot. Janet has been ill recently, but her parents were able to take her to a nearby clinic for diagnosis and treatment, and she is recovering well. Young children, especially small babies, are particularly vulnerable to stressful events and to living in crowded conditions where they are exposed to viruses and bacteria. Health workers in mobile teams and at clinics are checking for acute respiratory infections, skin infections and diarrhoea. Mothers are being encouraged to continue breastfeeding and to sleep under mosquito nets with their infants. But living in such conditions, the nights are long and hot and some people do not have a net, or say they cannot sleep under it because of the heat. So dengue fever is another risk. The survival of Janet, John, Lester and Harry and the recovery of their families very much depends on the relief supplies and services. UNICEF is working with the Solomon Islands Governments and other humanitarian partners to reach these vulnerable children and their families with clean water and toilets, soap, essential micronutrients and health care.